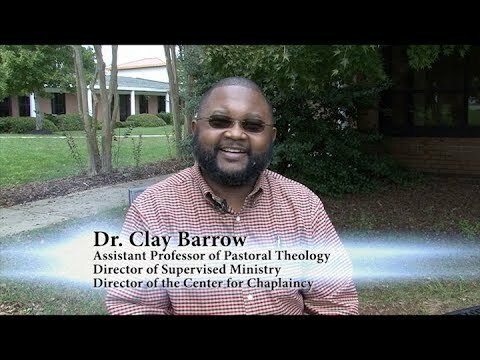 Dr. Barrow is very familiar with the mission of HTS, having completed his Doctor of Ministry degree in 2017 with distinction as the first graduate with the Pastoral Theology and Care Specialization. He is a graduate of the University of North Carolina at Chapel Hill with a B.A. in Psychology and Political Science. He completed his M.Div. at Candler School of Theology at Emory University, with a concentration in Black Church Studies and Pastoral Care. Dr. Barrow also completed five (5) Units of Clinical Pastoral Education (C.P.E.) at the Palmetto Baptist and Richland Hospitals. He is an Ordained Elder in the African Methodist Episcopal (A.M.E.) Church, where he serves as Dean of the Western N.C. Conference Board of Examiners and the Co-Historiographer for the Second Episcopal District. Since 2012, he has served as the Pastor of Clapp's Chapel A.M.E. Church, Whisett, NC. He served for six years as a Chaplain with the Atlanta Police Department and was a Teacher and Program Director for five years at the Westminster Schools, Atlanta, GA. He is clinically trained as as a Qualified Professional II and a Mental Health Professional II. He has also served as a Coordinator and Manager with the N.C. Emergency Management Department.